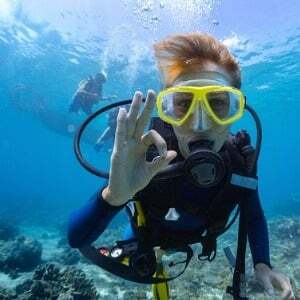 Cape Town - If you’re planning your first scuba diving holiday and don’t know what to expect, take a look at this live stream that is bound to make you want to get your scuba gear on and dive right into the ocean. WildEarth Media launched a new scuba diving show called diveLIVE, that takes viewers on an underwater adventure like no other. Aimed at connecting people across the planet with the ocean, diveLIVE is a daily live interactive diving safari that’s hosted by marine biologists from under the ocean, and streamed live on to YouTube, Facebook, Periscope and eventually TV. The show virtually submerges its viewers on tropical reefs, starting with the Grand Cayman Island in the Caribbean – an ecosystem that supports an abundance of sea life and is considered to be one of the best diving sites in the world. In addition to merely taking viewers on an underwater journey, WildEarth says that the audience can ask the presenters questions and they will be answered in real time from under the water! “We believe that if we can get people to fall in love with our oceans, they will all be encouraged to care for them,” says WildEarth about the motivation behind diveLIVE. WildEarth, which also produces safariLIVE, launched a Kickstarter Campaign on 3 April 2018 to underpin the new diveLIVE show, which is already seeing massive support. According to PR Newswire, WildEarth's mission is to connect people with nature to encourage a deeper appreciation for the natural environment and for better ocean conservation. “Since the campaign has launched, the diveLIVE team have already performed three test dives in Grand Cayman and broadcast these live onto several partner pages including that of PADI (Professional Association of Diving Instructors®), the world's largest recreational diver training organisation. These dives have been a huge success with over 60 000 people experiencing the Scuba environment virtually,” says PR Newswire. “diveLIVE is not a once-off or short-term endeavour but set up to be a long-term and sustainable way of connecting people with our oceans,” says WildEarth. Join the diveLIVE Facebook community here to get virtually diving.